Designing good book covers is difficult. It is creative work that requires that the designer is able to capture the essence of a book in an image that pleases everyone, especially the publisher’s marketing department, and is attractive from a reader’s point of view. 12 book cover designers have shared their stories on their works that were killed before they were published. If you examine covers of different genres of books, you instantly notice how the genre defines many factors for the cover. Romance covers tend to have a man and a woman in, crime novels often have dark covers, text books show an item from the contents of the book, and nonfiction books have something about the overall theme of the book. The most difficult book covers to design are for a genre that is so broad that it is hard to define: literary books. 3 cover designs for the same book. Left: the original book cover in France. Center: rejected cover. 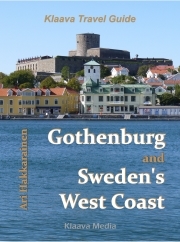 Right: published cover design. Creative Review has managed to get stories from 12 cover designers on their works that were rejected. Many stories have a lesson that the designer learnt from the setback. Designing a cover for an ebook is the same thing as for a print book. A collection of ebook cover designs from multiple designers can be viewed, for instance, at the book cover design awards page. Each cover has a brief review. These books are very genre-specific, making judging their covers easier than, for instance, literary book covers. 2017-09-28 by Klaava in Books, design. Tags book cover, cover, genre, literary, nonfiction, rejection.